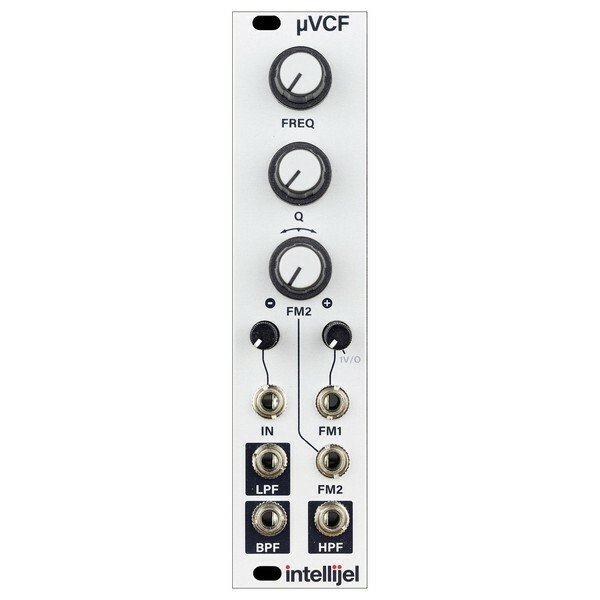 The Intellijel uVCF is a clean and precise filter module providing you with low, high and band pass filter states, all of which can be used simultaneously. The uVCF is a compact module that offers all the filter types you need. Its clean design features 3 separate knobs for controlling the cutoff, resonance and cv amount of your signal making this VCF a very handy module for your system providing you with all controls you need for a filter, and offering a very clean and precise sound. In addition, the module also doubles as a sine wave VCO with a range of 2hz to 20khz. The Intellijel uVCF responds particularly well to FM and keeps a very clean and precise sound when using any of the 3 filters. Its 3 different filters provide you with all the options you need for filtering frequencies from your sound. The FM2 input, which controls the cutoff modulation amount, is a bipolar attenuverter which allows you to really dial in your sound with accuracy to get the perfect amount of filter FM. As well as being a filter module, the uVCF also doubles as a sine wave VCO featuring a low distortion sine VCO when the resonance is turned fully clockwise. Once the Q knob is in the fully clockwise position, the FREQ knob can then sweep through the frequency range of 2hz to 20khz making this a handy VCO generator. 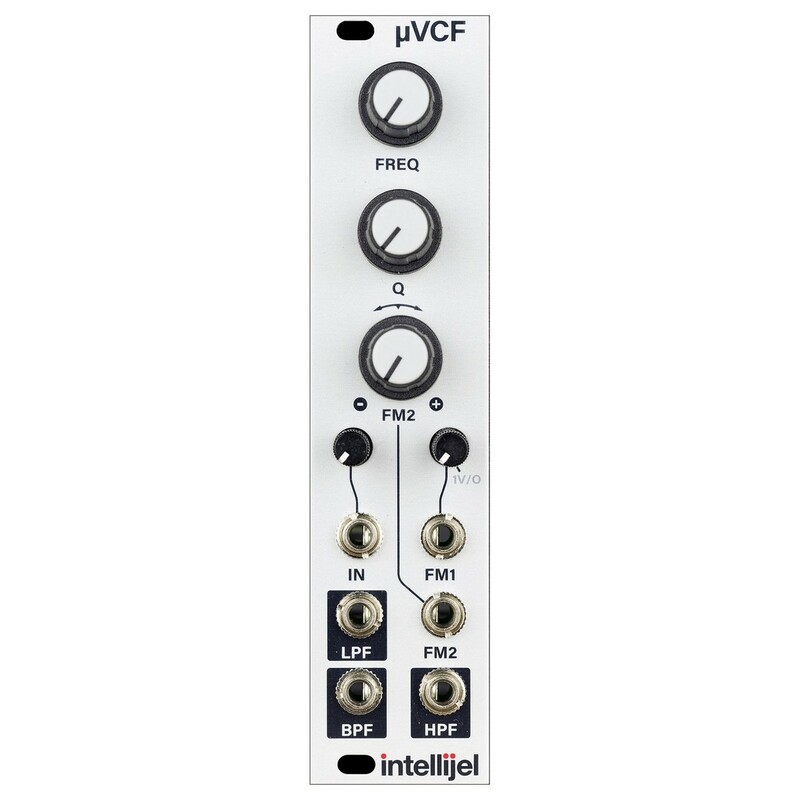 The Intellijel uVCF also features a 1V/Oct input attenuator which tracks for 4 octaves. The compact design makes the uVCF a great choice for the space conscious modular user as it only takes up 6HP of space. Although the uVCF is a small size it's still a very powerful and versatile filter module. Conveniently, the outputs are clearly displayed on the module with a shading of black around the patch port.